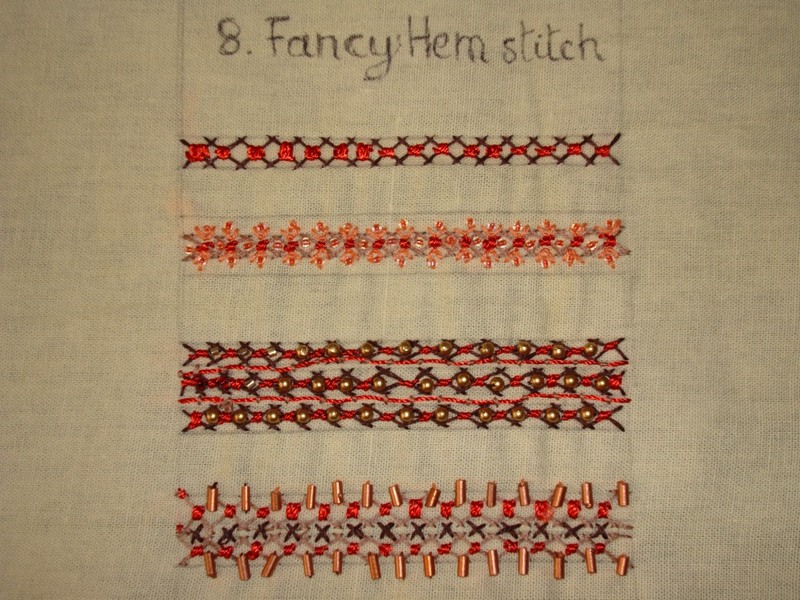 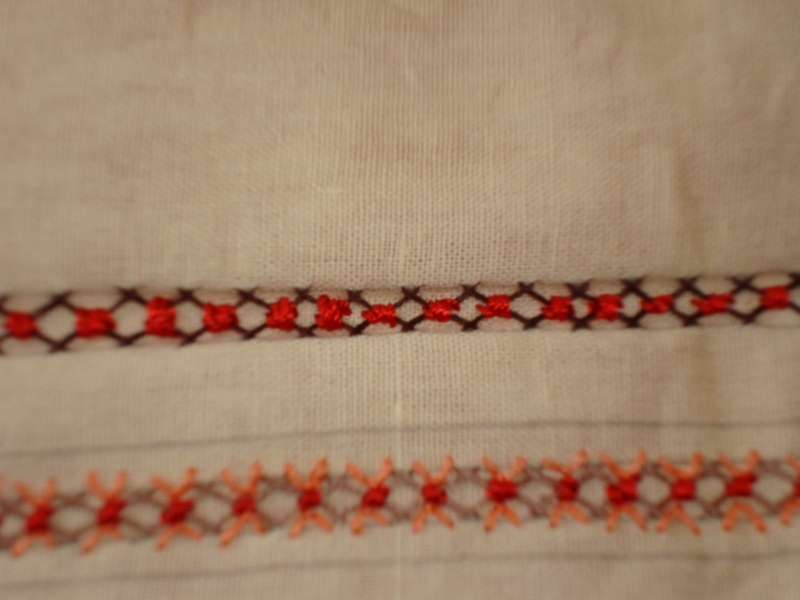 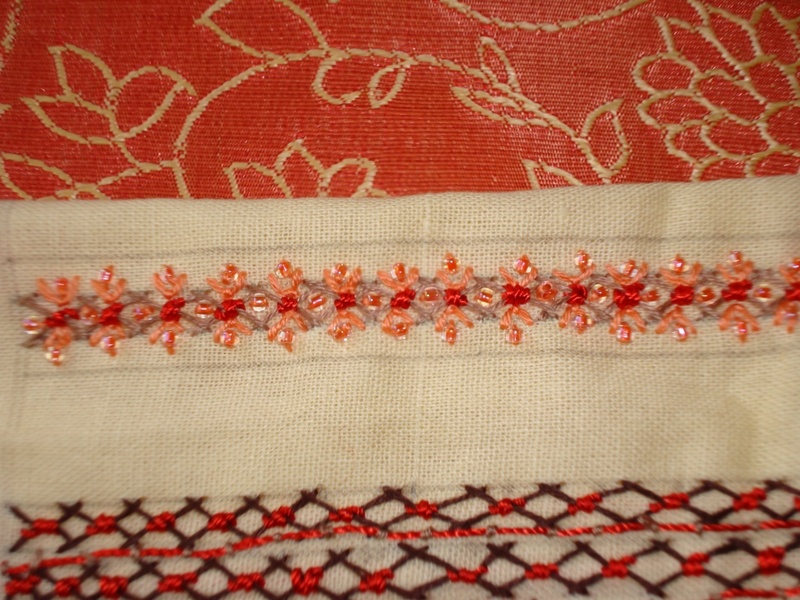 SharonB is started a very interesting needlework challenge TAST2010 this week’s stitch is fancy hem st.. 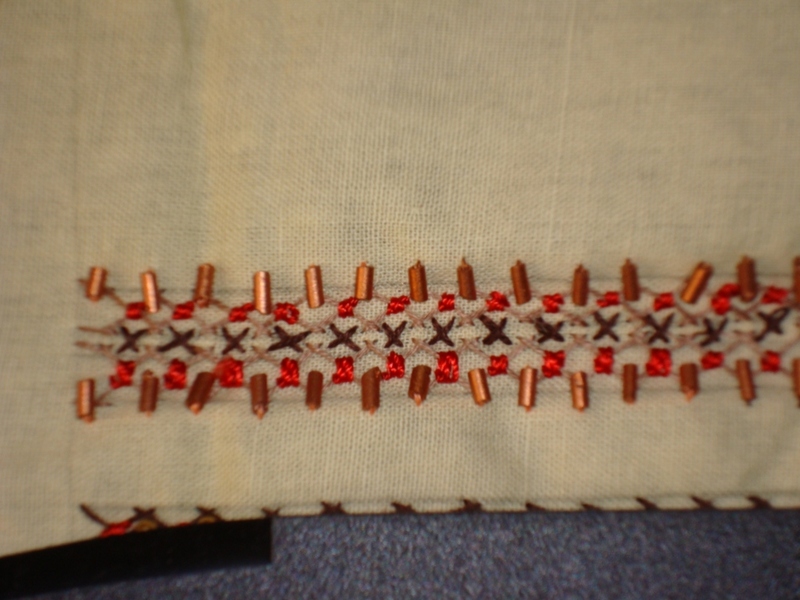 This stitch looks like a filling stitch, I used it as a line stitch because I am doing the stitches in this challenge as band sampler. 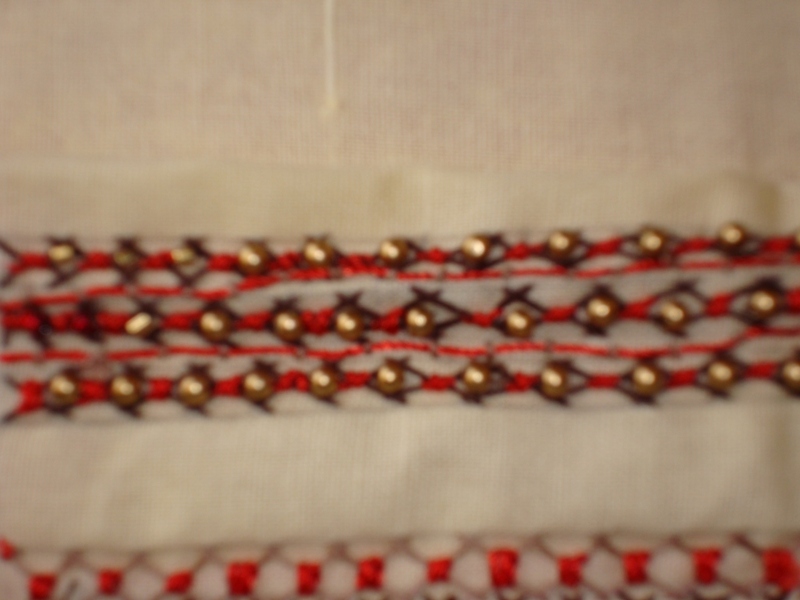 Going on with the next stitch of this challenge.